Republican presidential candidate John Kasich campaigns in New Hampshire. Republican presidential candidate John Kasich seems to have set his sights on the 16 Republican delegates up for grabs in Vermont's March 1 primary. 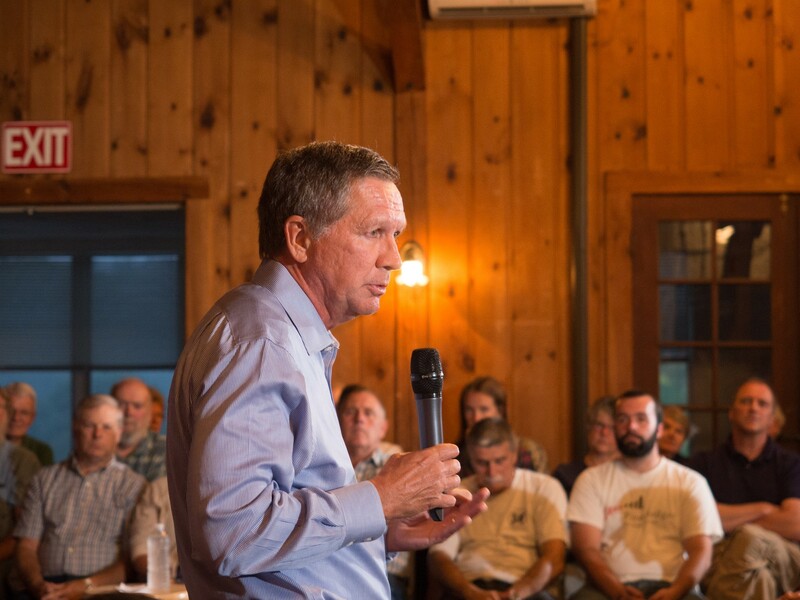 The Ohio governor, who finished second in neighboring New Hampshire, is planning a town-hall-style forum at 11 a.m. Saturday at Colchester High School. It will mark Kasich's second Vermont visit of the campaign. Kasich was in Vermont in October to raise money for the Vermont Republican Party. This time, he’s here on his own behalf, said Vermont Republican Party chair David Sunderland. Sunderland said Vermont Republicans do not appear to be of one mind in choosing a candidate in this year’s presidential primary. “I think we’ll see several candidates get substantial support,” he said. Unlike Democrats, the Republicans do not have unpledged "super delegates." Candidates who receive at least 20 percent of the vote will receive a corresponding percentage of the state's 16 Republican delegates. Vermont has seen more Republican candidates in person than usual this campaign, Sunderland said. In addition to Kasich, Republicans Donald Trump, Marco Rubio, Chris Christie and Rand Paul have come to Vermont. Christie and Paul have since dropped out of the race. The event is free. For more information visit the ticket page or call (603) 232-1133.